Thomson Airways is considering a children’s play area – onboard. 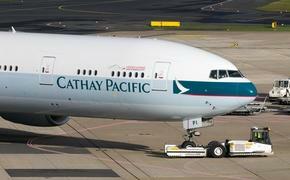 A four-year old girl might have just given an airline its newest idea for innovation. Thomson Airways held a contest recently to #NameOurPlane after its acquisition of a Boeing 787-9 Dreamliner. 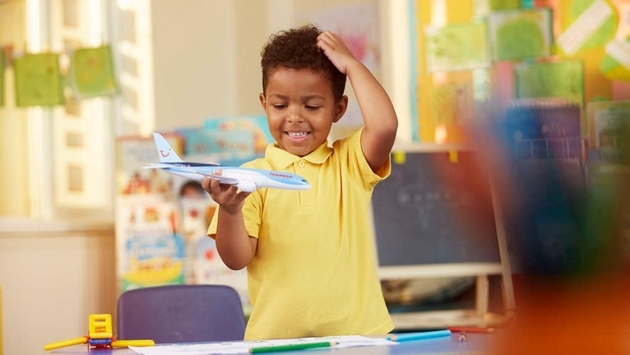 So the third-largest carrier in Great Britain asked children ages four to 11 to not only offer submissions for the name, but to submit other ideas for making flights easier and more fun for children. Amber Winters, from Birmingham, England, won the contest by naming the plane ‘Pixie Dust’, but it was one of her other suggestions, according to The Telegraph, that caught the eye of Thomson Airways officials – a play area for kids at the back of the aircraft with bean bags and a reading area. Nine other finalists in addition to young Amber gathered at Gatwick Airport in London to present their ideas to a panel of judges, including Dreamliner pilot Stuart Gruber. Or, in case you’re not familiar with English colloquialisms, a test run is in order. Will it work? Of course. Obviously the aircraft has to be as big as a Dreamliner, but when other airlines have bars and lounges what’s to prevent a carrier from enticing more family travel than with a play area? Well, obviously some of those are far more plausible than others, so we’ll keep track of Amber’s main idea for you.